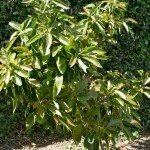 Where can you buy the Kampong Avocado tree mentioned in your Gardening Know How article of April 4, 2018 in the Tampa Bay Area? We don't recommend anywhere to purchase. You will have to check with your local nurseries, or an online one. They will usually ship to just about anywhere.